The only thing better than a scenic train ride is to be the conductor. Well, game developer Northplay has given you the opportunity to do just that with Conduct THIS. 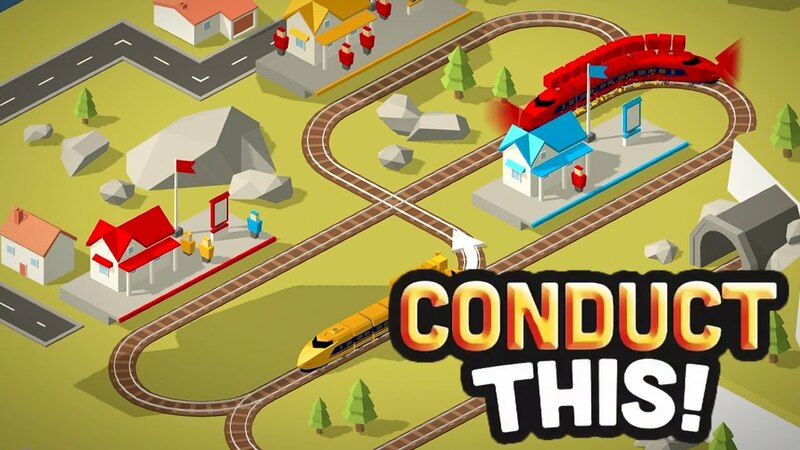 This action puzzle game is set in a beautiful 3D, low poly world that offers plenty of challenges and excitement beyond just conducting trains. The top-down view makes it easy to see everything. There are seven areas, each with multiple stages and tasks that you need to complete. The basic goal is to transport passengers from point A to point B, and once the passengers reach their destination you’ll earn coins and proceed to the next task. However, you only have a limited time to reach your destination. Aside from the time limit you also have to keep an eye on various hazards, control switches, incoming trains and other vehicles that may cross the track. You will be awarded up to 3 stars depending on how you perform. Controls are easy as the trains automatically run on the tracks. Tap a train to stop it, and tap again to start it up. It sounds simple enough and you’ll need to get the hang of it as that’s how you will avoid crashing into obstacles or vehicles. There will also be cases where you’ll need to interact with the environment, in which case you just tap it. The key to succeeding in Conduct THIS is timing. Work on that and you’ll earn more coins and unlock more tracks and terrains. Do that and you’ll go places here.